A Look at Our New Website Features - Superior Equipment Sales, Inc. This month, we gave our website a “refresh”. Not only did we update the design to have a more modern look and feel, but also we added convenient features for our customers to take advantage of. Let’s take a look at a few of our favorite new website features and how they could even make your life easier. Goodman offers a fantastic tool for contractors to use on-the-go called DealerFirst. 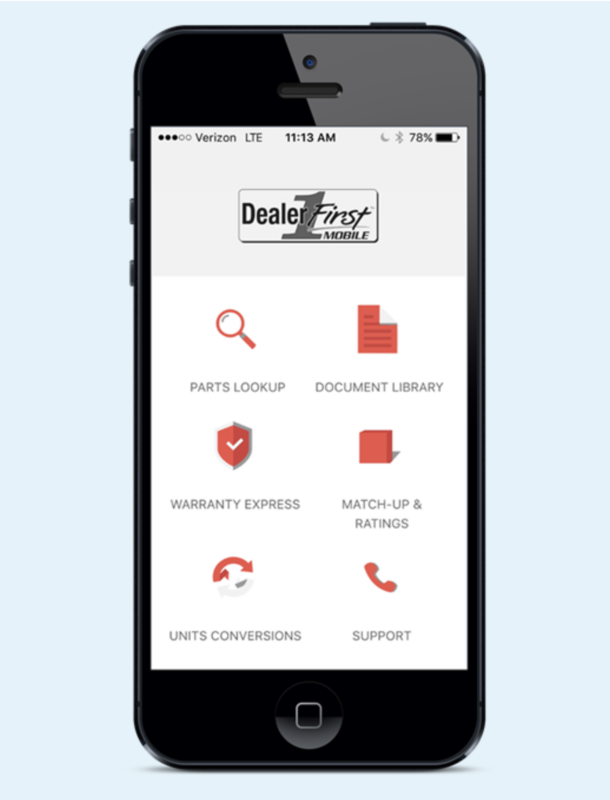 This tool includes a Mobile App for smartphones, as well as a mobile website, where contractors have easy access to Warranty Express, Match-ups & Ratings, Product & Diagnostic Info, and Documents & Support. This tool is designed for any technician who works on Goodman brand products. The best part is that DealerFirst is completely free to use! 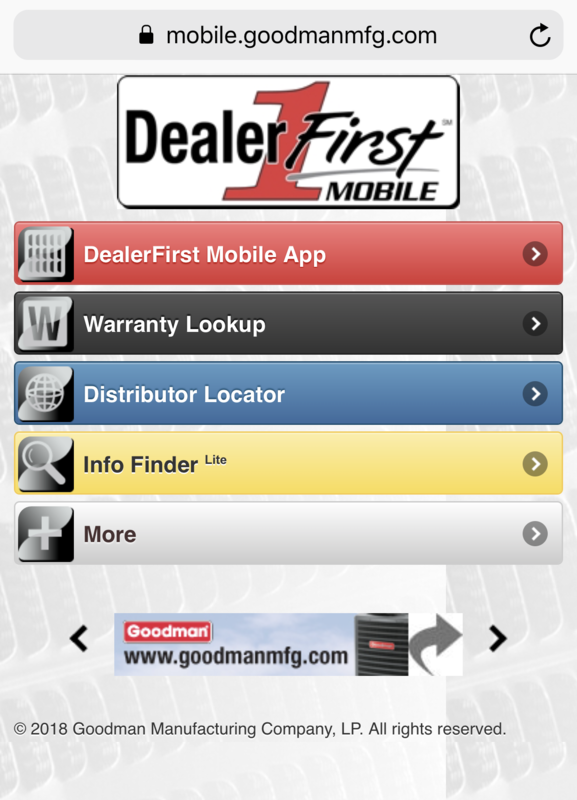 A link to Goodman’s DealerFirst mobile site/app is now located at the top right of our website for convenient access, as shown below. Now you can get to this great tool directly from our site! With our recent website update, we also made it easier for our customers to connect with us. Whether you want to see what we’re up to on our Facebook page (or our new LinkedIN page! ), give us a quick call, or find our address so that you can stop by one of our branches, everything you’ll need to do that is located in the top right teal bar on our website. In addition, the footer of our site contains phone numbers for all three of our branches that can be quickly and easily “clicked-to-call” from any smartphone. Lastly, keep up with all that’s happening at Superior by reading our monthly blog posts, which are now prominently featured right on our website’s homepage for easy access. Every month, we share new thoughts and industry happenings on our blog, so definitely be sure to check these out! At Superior Equipment Sales, we are always striving to enhance the experience for our customers. ­Take advantage of these new tools and website features and let us know what you think!